J. Jeff Kober’s latest book, “Disney, Leadership, and You” is an excellent work that more than delivers on its title. Drawing from an inquisitive mind and keen insight, Kober has nearly five decades experience with Walt Disney – from both within and without the company – which provide a very readable, practical, and thoroughly enjoyable leadership book that you will find yourself returning to time and again for just the right nugget to use. I have “known” Jeff for years through his writing, and earlier this year was grateful to meet him and engage his services for an immersive park experience with a group I was leading. The warmth, wit, and sheer knowledge of Disney, coupled with his ability to instantly link it to practical applications of my group, was one of the highlights of our experience. That same experience has been translated into this book. If you are a leader in any size or type of organization, the stories Jeff Kober has captured in “Disney, Leadership, and You” should be a valuable addition to your library, a source of personal encouragement, and a wealth of practical training for both you and your team. In those four sections you will find 18 themed chapters, each chock full of leadership principles illustrated with stories of Disney leaders from all ranks. The principles are solid in themselves, but what makes them memorable is the stories of the Cast Members. The stories and principles perfectly describe how Disney Cast Members create magic each day through their hard work and respect for Walt Disney’s original vision. You organization is not Disney, but you can learn from their excellence. “Disney, Leadership, and You” is an extraordinary source of lessons and learning to help you make a dramatic impact on why you do, what you do, and how you do it. It has been said that the people close to us determine our level of success. Moses learned this lesson in the wilderness and so implemented a plan to put competent, godly leaders next to him. David had his mighty men. Paul had Barnabas, John Mark, Timothy, Titus, and Phoebe. When ministers decide to be leaders, they cross a very important line. They no longer judge themselves solely by what they can do themselves; the truest measure of the impact of a leader is found in what those around them accomplish. In God’s economy, our personal development happens most as we are developing those He has called around us. You have the capacity to become an extraordinary leader—if you are willing to embrace a deeper definition of leadership and take action to apply it. Weaving a winsome narrative filled with inspiring real-life stories, hard-won wisdom, and practical applications, Catron unpacks four essential aspects of growing more influential: your heart for relational leadership, your soul for spiritual leadership, your mind for managerial leadership, and your strength for visionary leadership. Leadership isn’t easy, but it is possible to move from ordinary to extraordinary. Jenni Catron shows the way. Look at almost any definition of a leader, and it will include something about others: influencing them, directing their work, guiding their development. And while this is true, leaders must remember that the first priority of a leader is to lead yourself. Leaders like to lead. And when we say we like to lead, we usually mean we like to lead others, right? But if you can’t lead yourself well, you will be ill equipped to lead others. Part of the responsibility of leadership is understanding your influence on others. Leadership is only as strong as the leader. And that responsibility, if you’re grasping the weight of it, is the reason why your leadership journey must begin with leading yourself well. Self-leadership is a willingness to make yourself uncomfortable in order to lead yourself and others to bigger dreams and greater goals. It requires the humility of introspection. Many leaders skip over self-leadership because the discomfort of facing their own limitations is frightening enough to discourage them before they’ve even begun. Using this scripture as a foundation, Catron develops a multi-dimensional leadership model that requires leading from our whole selves – heart, soul, mind, and strength. As noted in the quotations above, Catron feels that first learning to lead yourself is a critical foundation of influence. With this model in mind, set aside time to inventory yourself in each area. You will find the self-assessment described in the book in an online version listed in the Recommended Resources below, but first, reflect on these questions developed from the book. How are you connecting with those you lead? Do you know their stories and what inspires them? What does spiritual formation look like for you? When do you most feel like you’re experiencing spiritual growth? What systems do you have in place to instill disciplines that transform ideas into accomplishments? How do you demonstrate stewardship in making good, consistent decisions about how to best manage your resources? What principles do you follow in creating a culture of accountability for yourself? How strong do you feel about the vision you’re working toward? Is there anything you need to do to help own it more? Once you spend time taking this inventory, prioritize three actions to take in the next three months, with specific and measurable markers of success. What your church can learn from the mission-focused leadership of the United States Armed Forces. A clear, executable mission is the key to success for every branch of the military. An outstanding attention to teamwork and training make the United States Armed Forces the most formidable fighting force on the planet. Leadership is just as important to each service branch as it is to your church. Sent to the most violent battlefield in Iraq, Jocko Willink and Leif Babin’s SEAL task unit faced a seemingly impossible mission: help U.S. forces secure Ramadi, a city deemed “all but lost.” In gripping firsthand accounts of heroism, tragic loss, and hard-won victories in SEAL Team Three’s Task Unit Bruiser, they learned that leadership―at every level―is the most important factor in whether a team succeeds or fails. Now, detailing the mind-set and principles that enable SEAL units to accomplish the most difficult missions in combat, Extreme Ownership shows how to apply them to any team, family, or organization. Each chapter focuses on a specific topic such as Cover and Move, Decentralized Command, and Leading Up the Chain, explaining what they are, why they are important, and how to implement them in any leadership environment. Today’s Naval Special Warfare operators – SEALs, for Sea, Air, and Land – can trace their origins to the Scouts and Raiders, Naval Combat Demolition Units, Underwater Demolition Teams, and Motor Torpedo Boat Squadrons of World War II. Their pioneering efforts in unconventional warfare are mirrored in the missions and professionalism of the present Naval Special Warfare teams. The principles critical to SEAL success on the battlefield – how SEALS train and prepare their leaders, how they mold and develop high-performance teams, and how they lead in combat – are directly applicable in any group, organization, corporation, or business. For SEAL teams, the beginning and foundational leadership principle is this: the leader is truly and ultimately responsible for everything. The best leaders don’t just take responsibility for their job. They take Extreme Ownership of everything that impacts their mission. This fundamental core concept enables SEAL leaders to lead high-performing teams in extraordinary circumstances and win. But Extreme Ownership isn’t a principle whose application is limited to the battlefield. This concept is the number-one characteristic of any high-performance winning team, in any military unit, organization, sports team or business team in any industry. When subordinates are not doing what they should, leaders that exercise Extreme Ownership cannot blame the subordinates. They must first look in the mirror at themselves. The leader bears full responsibility for explaining the strategic mission, developing the tactics, and securing the training and resources to enable the team to properly and successfully execute. Extreme Ownership requires leaders to look at an organization’s problems through the objective lens of reality, without emotional attachments to agendas or plans. It mandates that a leader set ego aside, accept responsibility for failures, attaché weakness, and consistently work to build a better and more effective team. Such a leader does not take credit for his or her team’s successes, but bestows that honor upon his subordinate leaders and team members. When a leader sets such an example and expects this from junior leaders within the team, the mindset develops into the team’s culture at every level. As the senior leader of a staff team, or as a staff member leading a ministry team, the principle of Extreme Ownership means that you have the responsibility for everything that occurs with your team – everything. To begin utilizing the concept of Extreme Ownership, select a recent ministry activity that did not go as well as you had planned. On a chart tablet, write the activity and date at the top. On the chart tablet, review the development of the activity, by listing the genesis of the idea, discussion and planning prior to the activity itself, and all individuals along with their specific responsibilities in carrying out the activity. In addition, list any external factors that may have impacted the result of the activity. What leadership support did I provide in the genesis of the activity? How did my words and actions affect the initial planning of the activity? How involved was I through direct or indirect decision-making in the initial planning? Once initial planning had begun, did I connect on a regular basis with the leaders of specific tasks? If so, did I encourage them, offering additional training or insights as needed? Did I pull all the leaders together regularly to briefly review their individual progress toward the common goal? If so, did I help them understand how their individual and team success would lead to the success of the overall goal? On the day before the activity, did the team meet to verbally run through the activity’s main actions? If so, what was your level of participation? Did you verbally support and affirm your subordinate’s plans or critically suggest other options? At the activity itself, what was your role? How often did you circulate around during the activity and speak to your subordinates? How did you “take notes” during the activity for later discussions? Did you realize during the activity that it had not met your expectations? At the conclusion of the activity, how did you thank everyone for his or her involvement? Did you have a preplanned “debrief” of the activity, or was it only after you realized things didn’t go as planned? To successfully complete an activity, or lead change, or to challenge people to accomplish a difficult or complex task, you can’t make people deliver the result you envision. You have to lead them. Extreme Ownership is a mind-set and attitude. When leaders practice Extreme Ownership and develop a culture of Extreme Ownership within their teams, the rest will begin to fall in place. This learning experience came while playing golf. Now, let me set the record straight; I am a lousy golfer. However, for some strange reason I really enjoy the game. Although I played quite a bit years ago, these days 6 – 8 rounds a year is typical. We were making our way around the course, and I had enjoyed my share of good shots and bad. I am always excited when I can string two or three good ones together. This greatly enhances my chance of a bogey! We approached the 9th hole and the yardage indicated about 280 yards to carry the water or a layup with a considerably shorter shot. I should confess, for me to hit a drive 280 yards involves some roll and maybe a bounce on a cart path. To carry the lake was not a likely outcome. I stepped up and crushed one. We watched in amazement – this was one of the best drives I had hit in years. It landed about 270 yards away… in the lake. The guys with me seemed to be impressed with how far I had hit it; little consolation knowing I would have to hit another one from the tee with the addition of a penalty stroke. I teed up my second ball – I blasted it! Two in a row – what were the odds? Again, it landed about 270 yards away, exactly where the first one had landed. Wet! What’s a guy to do? I reloaded and hit a third one. For this one, I really stepped on it. It went about 275 yards. Wet again. And not to be deterred, I teed up my fourth ball and launched it – you guessed it, SPLASH! I knew I couldn’t hit a golf ball 280 yards on the fly before I took my first swing. So, what happened? I wasn’t trying to. I was aiming about 20 yards LEFT of where the ball was landing. Or at least I thought I was. In reality, my alignment was off! All these thoughts ran through my head. Never did I consider, or want to admit, I might be hitting it exactly where I was aiming! Great performance begins with great alignment. A former golf coach taught me, “The flight of the golf ball never lies.” As it relates to organizations, my friend and colleague, Randy Gravitt, reminds me that our systems, structure, habits and behaviors are perfectly aligned to create the outcomes we are currently experiencing. If your organization is not hitting it where you want, there could be many reasons – however, I would start by checking your alignment. Great performance begins with great alignment. Do key leaders in your organization only think about their ministry area and not the entire organization? Divisions are necessary in all organizations, even churches. They provide the structure that allows your ministry to function smoothly. Every organization is divided into divisions, functions, or some type of grouping. Doing so allows each group to develop the special skill sets needed to make it function. But when departments or functional areas become isolated from one another it causes problems. 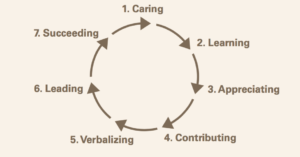 Leaders often refer to this as creating silos. But organizational silos can also cause problems – the same structural benefits listed above also prevent the flow of information, focus, and control outward. In order for an organization to work efficiently, decisions need to be made across silos. To break the down the barriers of silos in your organization, the goal is not to destroy the meaningful structural divisions themselves but to eliminate the problems that silos cause. The following excerpt will provide your organization tools to help break down the silos in your organization. Thomas Edison created multi-billion dollar industries that still exist today. What many people don’t realize is that his innovations were generated through focused approaches to teamwork and collaboration. Authored by the great grandniece of Thomas Edison, Midnight Lunch provides an intriguing look at how to use Edison’s collaboration methods to strengthen live and virtual teams today. A church accomplishing its mission requires many people working on multiple teams to be successful. Often, these teams drift into a pattern of accomplishing things “their way,” erroneously thinking that what’s best for their team will be best for the organization as a whole. This lack of coordinated decision making across the organization is the third indicator of silos in the organization. True collaboration operates like an invisible glue that fuses learning, insight, purpose, complexity, and results together in one continuous effort. Thomas Edison viewed true collaboration among his teams as a value creation continuum, recognizing that complexity was a norm that all team members needed to understand and address. Here is a four-phase model of the collaboration process that translates Edison’s decades of groundbreaking practices into language for the 21st Century leader. A core question serves as a launching point for the exploration of each phase. > How do we create the foundation for true collaboration to flourish? Phase 1 – Capacity: Select small, diverse teams of two to eight people who will thrive in an environment of discovery learning and collegiality. > How can our collaboration team reframe the problem at hand, driving the greatest range of creativity and breakthrough solutions? Phase 2 – Context: Focus the outlook of the team toward development of new context that broadly frames the problem or challenge under consideration. Use a combination of individual learning plus hands-on activities to drive perspectives for potential solutions. > Can the collaboration team stay the course and continue forward despite disagreements? Phase 3 – Coherence: Maintain collaboration momentum, creating frameworks for progress through inspiration and inspirational leadership even though disagreements may exist. Newly discover, or re-emphasize, the shared purpose that binds the team together. > How can our collaboration team leverage internal and external networked resources nimbly and with speed? Phase 4 – Complexity: Equip and reskill teams to implement new ideas or new solutions using internally and externally networked resources, rapidly accessing or managing complex data streams the team must navigate. Leave a footprint that contributes to a broader collective intelligence. Within the four phases of capacity, context, coherence, and complexity lies the invisible glue that can help your organization develop true collaboration practices to achieve your mission. Create your own “midnight lunch” experience by ordering pizza or other takeout food. Pick a unique place in your normal environment that is not normally associated with regular tasks, or go offsite. Use the informal atmosphere to foster conversations about interest areas of all your group members. Actively listen to the conversations, and develop a deeper level of knowledge – and connection – with your teammates. As a team, take 10 minutes and create an individual list of the various sources of information you draw from each week. Does your team see a pattern in their lists? Now challenge them to create another list of five additional sources that will intentionally shift the context of their information-gathering. During weekly meetings, take five minutes to share how this new context is broadening their ministry context. When team members begin to use self-referencing language (I, me, mine) more than team-referencing language (us, our, ours), it is an indicator that defenses are being raised and the team is in danger of losing coherence. Often, the language of the team is the first indicator of a team losing its momentum toward a shared goal. Lead your team to be constantly aware of their language, and guide them to practice inclusive language by first modeling it yourself. Among all organizations, the church has the most potential for the existence of excessive hierarchy. To overcome this, lead your team to clear away internal roadblocks which add unnecessary time and complexity to your process. The use of the strategy map process above can be both a beginning point and continual guide to your journey toward simplification. Cooperation, communication, and collaboration are three keys to breaking down the organizational silos that are keeping you from achieving your mission. LEGO Bricks and I go a long way back. 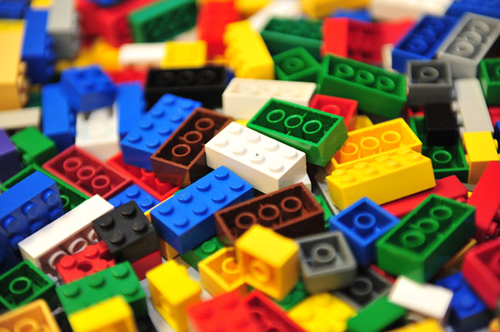 As a boy growing up in the mid-60’s, LEGO play sets were a treat at our church. After we completed our Sunday School lesson, and if we had any free time, and if the weather wouldn’t allow outside play, our teachers would bring out a big box of LEGO Bricks and let us have at it. When I became a parent in the early 80’s, it wasn’t long before the first of dozens of LEGO sets appeared. Over the years, our four children (now 35, 31, 27, and 23) were the recipients of LEGO play sets with themes like Castles, Undersea Adventures, Cities, and of course, Star Wars. For some reason, our second son was captivated by the Star Wars universe, especially LEGO sets with a Star Wars theme. Even at age 31 and in the Air Force, he still manages to acquire a new LEGO set every Christmas (my wife and I – guilty as charged!). With 4 grandchildren now part of our extended family, the LEGO fascination has been passed on to a new generation of Adams kids. It started with Duplos for Jack, but at age 8 he has rapidly progressed to creating masterpieces with traditional LEGO sets. Lucy, age 5, is enjoys regular LEGOs but always eyes her dad’s Star Wars collection. Lola, 3 years old, left Duplos quickly after eying her brother’s LEGOs. Leia, almost 3, doesn’t have a chance! Between her Star Wars dad and sister, she will probably pass us all in LEGO abilities! LEGO Bricks are not just for kids. The LEGO Group – reluctantly at first, but now all in – regularly connects with AFOL (Adult Fans of LEGO) groups. There are user groups like LUGNET (LEGO User Group Network) and dozens of conventions, competitions, and the like all over the world. The full-scale replica of a Star Wars X-Wing Fighter astounds me: It’s 43 feet long with a 44-foot wingspan, weighs over 22 tons, and was built with over 5 million LEGO bricks. A crew of 32 builders took over 4 months to construct it. All from a plastic toy brick which only has value when it’s connected to another brick. LEGO Bricks provide the essence of the leadership lesson on Relationships: Building begins with connecting. Leaders often get so caught up in the programs that they forget about the people – the building blocks of any organization. There may be tremendous value in plans, but the strength of any organization is in its relationships. In LEGOS – and in organizations – building always begins with the clicking sound of connections.